Are you tired of the fonts that are available to you when you are working? 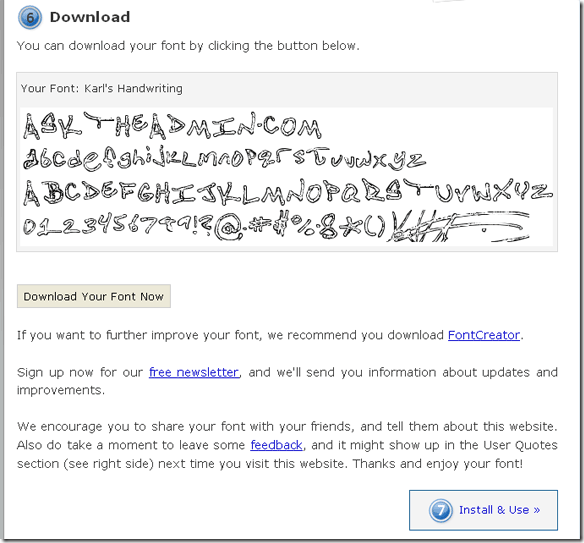 Do you want a font that is personalized for you? 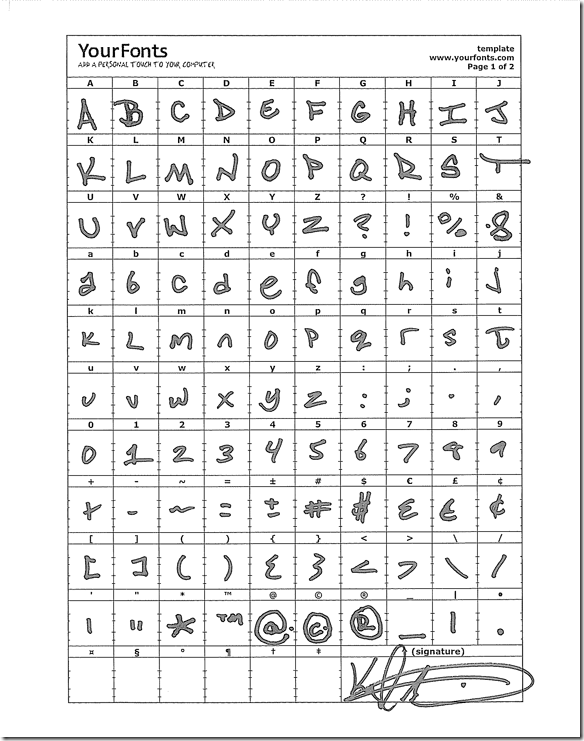 Better yet, do you want a font of your own handwriting? This trick will help you add the last customizing and personalizing touch to your Windows, Linux or Mac – your handwriting font. You will need a printer, a scanner and Internet to access the website, YourFonts.com. 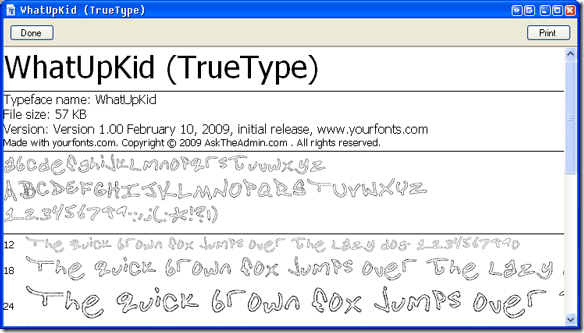 The end result is a font that you can use with any application on your computer. The template that you’ll download will look something like this. 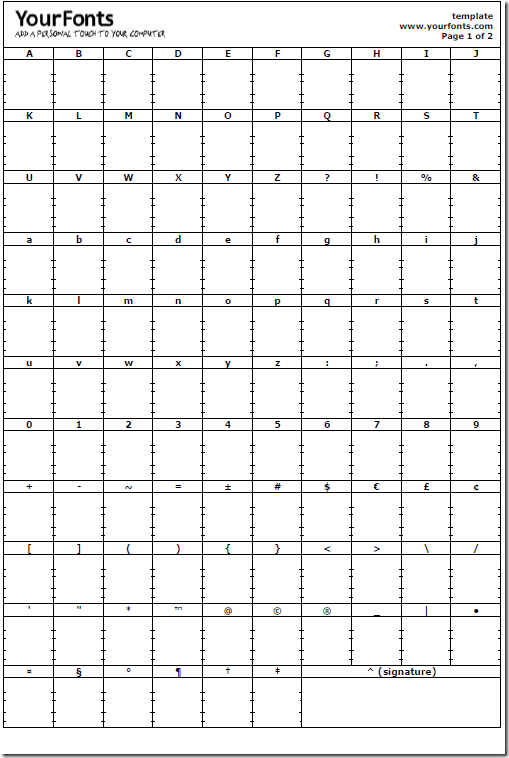 You will have to print it and write letters to their corresponding box. The above picture shows the first page of two pages that you need to fill. 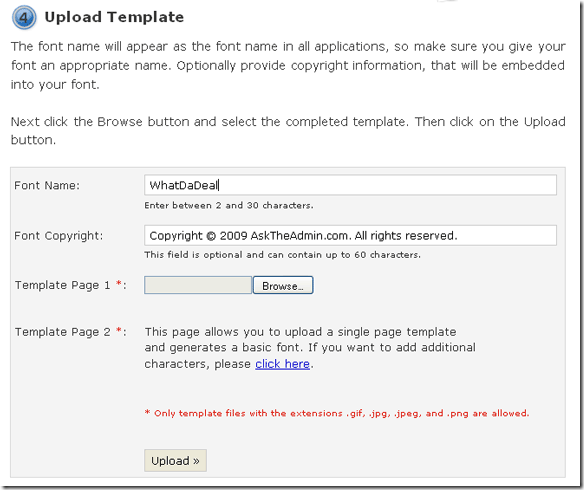 The second page has special characters and anything that you don’t add will be omitted from your font. This is what it will look like once you’re done filling the template. Now you have to scan these templates to have a digital file. Grey scale above 200 dpi works fine or you can go for the color scan as per the site’s instructions. You will have to convert the scanned file into JPG, GIF or PNG file if your scanner returns a PDF file. Once you’ve scanned it, upload it to the website; it will recognize the characters and then create a font for you. The process of naming the font and associated copyright looks like this. Once you’ve filled the required fields, you’ll be redirected to this. You can click on download and get to work! 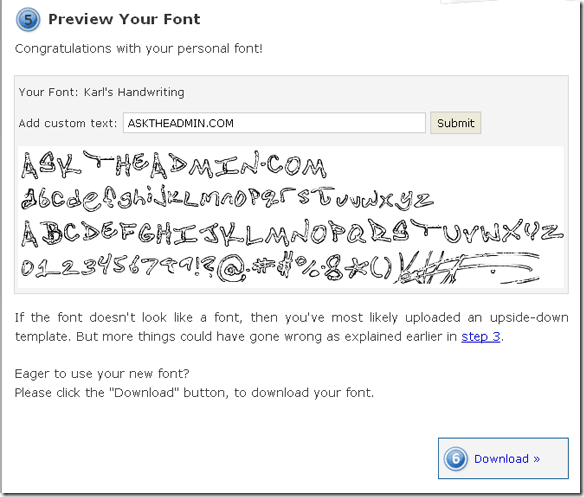 Do share your fonts with us and let us know what you think of this amazing trick!